You discover some wrongdoing, such as corruption, injustice, or danger to the public. What should you do? If you do nothing, the problem will continue. It may even cost lives. Today more than ever before, society desperately needs principled and courageous people -- people who do their moral or ethical duty in exposing corruption and promoting solutions; call them whistleblowers, dissidents, agitators, or conscientious objectors. Call them what you may, they are people who reveal and speak truths. For those intent on revealing corruption, one of the biggest risks is to trust that others will also be concerned and take action. The halls of truth-telling are replete with those who trusted that management would act. They trusted that co-workers would support them. They trusted that the union would back them. They trusted that government agencies and the courts would work to ensure justice. They trusted that others would do the right thing and hence didn’t expect retaliation. They didn’t anticipate that their efforts might fail. Sometimes this trust is warranted, but all too often it is not. It is important to obtain evidence to confirm what you think is happening. Claims without evidence can be plausibly denied, and even ones with evidence can be discredited. The evidence needs to be solid, so the facts make the case without the addition of suspicion or speculation. Style is a crucial part of getting your message across. An effective style hits the right note for a relevant audience. Be organized and deliberate in delivering the story and accompanying evidence. Keep in mind that the person or persons making up your audience may know little or nothing about the matter at hand. Many people believe that the truth is enough on its own and that it shouldn’t matter when or how they speak out; but it does matter. The right letter to the right person in the organization’s structure in some cases, while going public with a major news organization may be far more effective in others. Find a support mechanism. To have the best chance at success, it is vital to have supporters. It can be found in trusted co-workers who share your concerns and values, or it can be found in non-governmental organizations who advocate for truth-telling/whistleblowing, or both. Keep in mind that your organization’s managers have all the advantages when it comes to revealing truths that have the potential to embarrass them or bring negative consequences to the organization’s bottom line. Managers can stall, resist, hire expensive lawyers and mount attacks. If you’re going to use your organization’s formal processes, you must know the rules and be reasonably certain of success. If the problem you are attempting to reveal could be caused by either corruption or incompetence, it's best to call it incompetence and let the formal investigation discover whether actual corruption is involved. Making an exaggerated claim might persuade the investigator that you should not be taken seriously. If the issue causing concern does not clearly involve a perpetrator or responsible person, perhaps a process is bad. For example, if mismanagement is the cause, a number of people might be involved. In such a case, it might be possible to recommend improvements instead of launching a complaint, thus positioning yourself as being part of a solution. But if it is clear that corruption is involved, you will likely be better served by taking the matter outside the organization. The consequences of truth-telling can be mixed. Praise can be expected from those who share your ethics and/or morals and are brave enough or otherwise positioned in society to voice it. 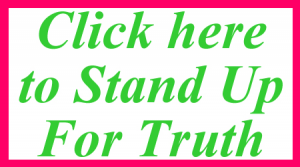 Public recognition through articles in the press or awards given for standing for truth is possible. Some include monetary awards. Disdain can be expected from those who are “caught” carrying out the wrong-doing or who are involved in the corruption. As one might expect, disdain can be expressed in a variety of ways: accusations of insanity, belittlement, removing the truth-teller from his or her job, etc. Be prepared -- develop a strategy for dealing with consequences. The above paragraphs are from the book “Whistleblowing: A Practical Guide” by Brian Martin. To see the entire book online in PDF format, click here. To buy the printed book, click here.